Every November we have an Information Night typically at the Northborough Library. New and returning Parents and players are invited to come. Please look for email announcements and at the electronic backpacks sent to your schools. There will be a brief presentation and then questions are welcome. Details about our program, the sport of lacrosse, equipment, and the league we play in and its’ philosophy are some of the topics we will cover. 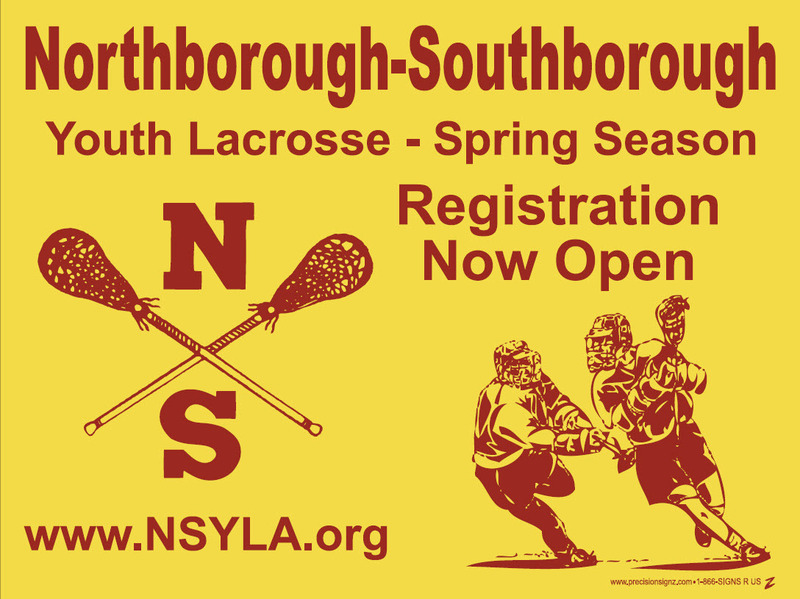 We strive to take every child who registers, however the limitations are purely based on field availability from the towns and the number of coaches who volunteer (head coaches need to know lacrosse, assistant coaches we will train). We maintain team sizes which will ensure a positive experience for all of the children we can accept. We have ended up with a waiting list each year of boys who tried to join after the registration closed. Returning players have the first week to register to ensure that they have a spot before we open up the general registration. This is the 18th year we have followed this policy. Any returning player who registers in the first week is guaranteed to play, and if you do not register this week then you go into the general registration where all players are taken on a first come, first served basis. Boys are not considered registered until the fee is paid in full. Unpaid registrations will be deleted.